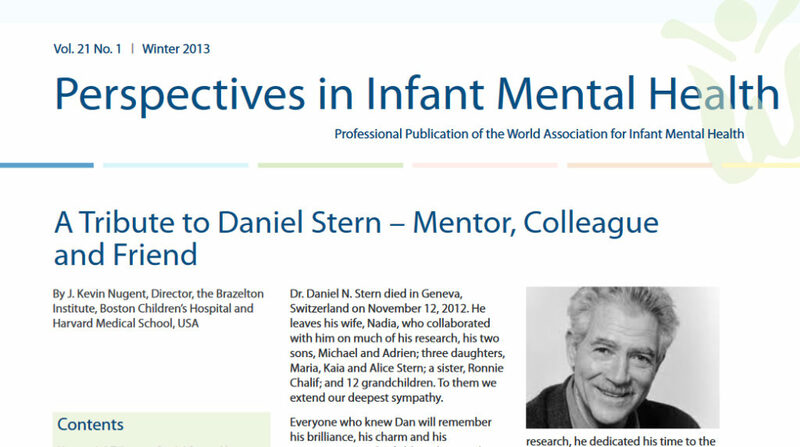 Since 1993, WAIMH has published a quarterly professional publication, formerly called The Signal and more recently, Perspectives in Infant Mental Health. The journal editors have been: Charley Zeanah (1993-2000); Paul Barrows (2001-2006); Miri Keren (2007-6/2012); Deborah Weatherston (7/2012-2018); and Maree Foley (2019-). Search for specific past articles. For example, let’s say you are looking for an article by Miri Keren, when she visited Japan. If you search the authors name, you will find the text: “Personal Reflections about Trauma and Play and an Invitation to Reflect”. Past articles are also available online in text format, which you can share. We are constantly developing the Perspectives website and intend to publish all issues since 1993.